Elco rudders were cast manganese bronze. But were they painted with the anti-fouling bottom paint? Or left natural? I can't tell from the B&W photos! The props were also manganese bronze (iirc), and of course they're natural... as are the Monel prop shafts (look like stainless steel). 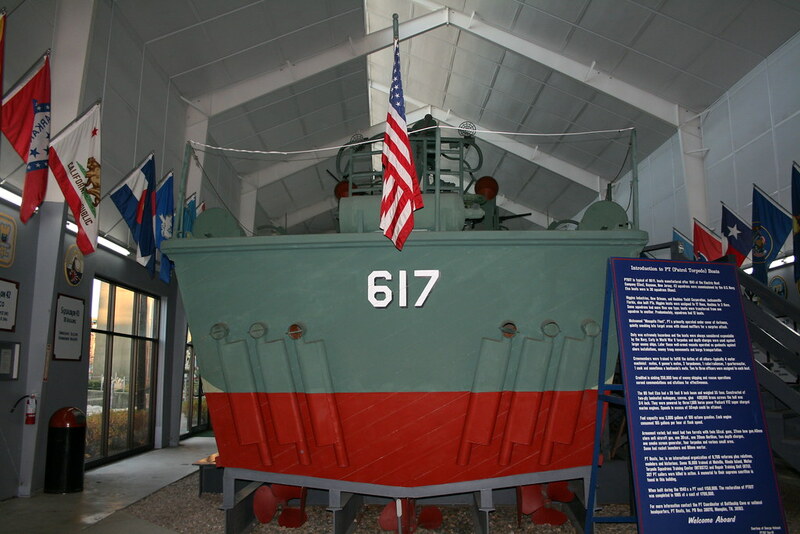 Rudders similar to those furnished by the contractor on Motor Torpedo Boats PT486-544. Rudders shall be tinned with 50 percent tin and 50 percent lead. The rudder plans for 80' boats have no finishing instructions but a plan for 70' and 77' boats state grind and buff blade. 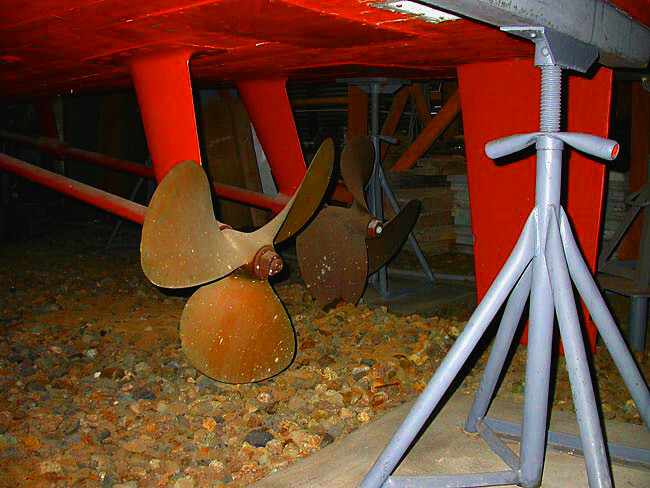 Below are some photos from flickr taken at the PT Boat Museum at Battleship Cove, Maybe check with (or email) Don Shannon at the PT museum for info / reasoning for their painting the hardware with anti-fouling paint. Thanks- those are some of the best shots I've seen of the struts! But since they painted the shafts, I'm not surprised the rudders got a little too. I'll go bare if you don't mind! Years ago two PT vets the late Bob Erdman off PT-183 and Max Lang off PT-462 mentioned that the rudders on their boats were a zinc color. Yeah I am pretty sure that since the shafts are made from monel you are not supposed to paint them since the zincs will not work as well if those surfaces are painted. The rudders and propellers if they are made from manganese bronze ( not sure if Elco rudders were) would be the same. Monel and Manganese Bronze are both resistant to seawater corrosion and you dont want to paint them or it will mess up the corrosion protection for the entire boat. Here is PT658 back a few years ago. I had to install the zincs on the rudder and had to remove the paint since somebody just assumed they should be painted. I made sure the surface that contacts the zinc was free from paint before I installed them. Bob and Max also indicated that the Struts and Shafts were also left unpainted as well. I don't know what color they were when they were new but when we went into dry dock and after they were dry we wire brushed them to get the barnacles and chalky film off but we never painted them.